We have handpicked 3 different places for you to stay and experience the different aspects of Bali culture and island life. As soon as you will arrive the the island we will take you to the magical resort remotely nestled on the banks of the Ayung River, in peace and harmony with nature. 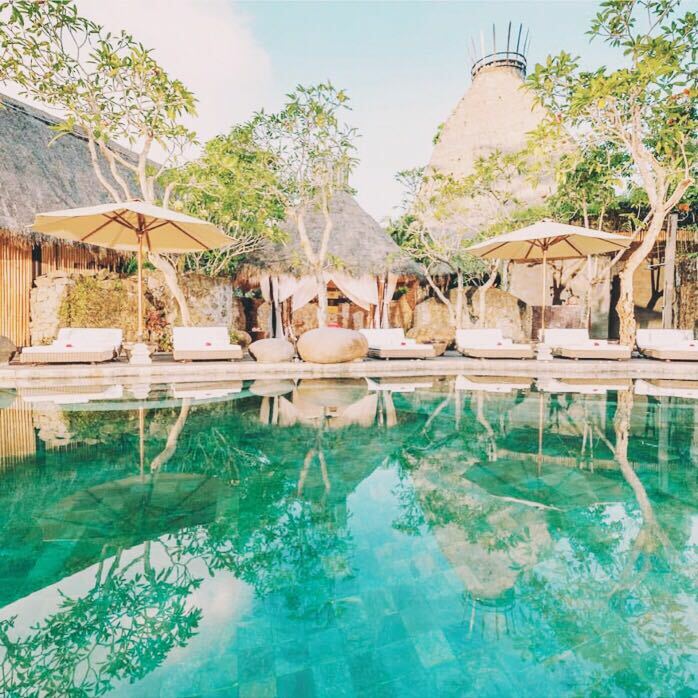 This exceptional place is an award-winning eco-conscious retreat deeply rooted in the ancient traditions of Bali, making it a wellness sanctuary to embrace authentic Balinese Healing, Living Foods and Sacred Arts. As Bali island has so much to offer we decided to make this retreat as open as possible. So each of you can choose what is you would like to discover about the exotic island, history, culture or nature. All the detailed information about sightseeing tours, little gems of the island, places to visit, recommendations for dinners and so much more will be provided by us to make your holiday as perfect as it could be. During all the retreat you will enjoy one (90 min) pilates / yoga workshop every morning. Additional classes and/or workshops can be arrange upon the request. Prices from £1989 (shared) all info on www.retreatsilove.com website.